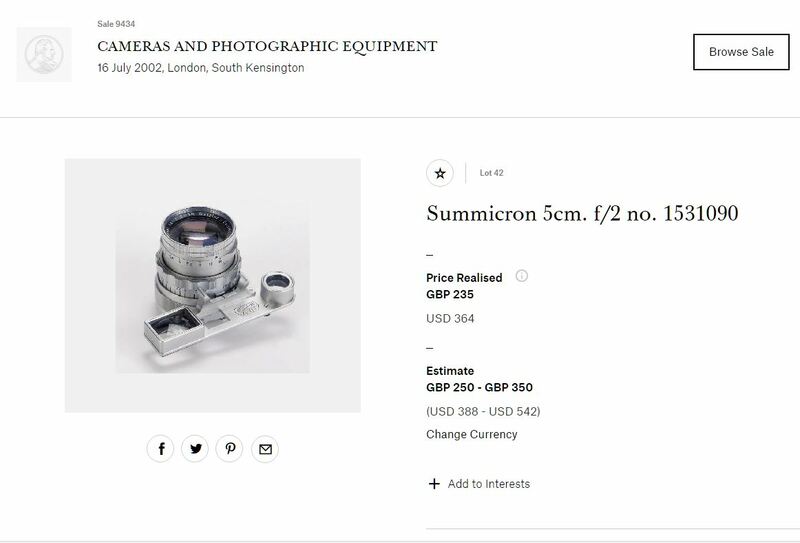 July 16, 2002: Chrome Dual Range Summicron, #1531090, sells for 235 GBP ($364) at Christie’s Camera Auction. This entry was posted in Black Paint Leica, fake black paint Leicas and tagged Fake Black Paint Summicron on December 14, 2016 by Leicaphila. I’ve always said that Leicas have a magical quality. They now appear to be able to turn back time, no wonder they are so expensive. Could the same strange thing happen to my car? I own a simple “Renault clio”, white, basic French car, but maybe it could became a black Porsche? With a blonde young lady in the back? Well , Christmas time, indeed. Or maybe I ‘ll try to paint black my own Summicron Dual Range. Oh, you scared me for a minute. I checked my Dual-Range to be sure it was not that same serial number. OK, no problem, now I can sleep soundly. By the way, my Leica Pocket Book 6th edition only shows a chrome Dual-Range. Hey, I too got that lens from my dad after his death* and some random dude sporting a dirty Leica t-shirt authenticated it (actually sneezed on it, but that’s Leica code per my dad). * So my dad** isn’t REALLY dead, but he says he briefly did. He was driving his pickup truck on a deserted backroad late one night after a weekend hunting trip, when suddenly he saw a bright flash from the sky. He does not recall what happened but woke up in his pickup 3 days later. We thought he was dead, and worse, the pickup was gone. Oh, and he had the Leica lens with him. Amazing but true, huh? **not my real dad–my real dad is Darth V, hence the black painted Leica. These black paint Leicas are giving Ebay a bad name. Yes, I have violated one of my own rules. Sarcasm does not generally work on the internet. Ebay is a pawn shop……A giant flea market. Thousands of good, honest camera retail operations/people are now out of business because of Ebay and internet sales. In any transaction there are three possibilities: 1) you can have it right; 2) you can have it fast; 3) you can have it cheap. Generally, you only get to choose two of the three. Guess which two drive most Ebay sales. As with most everything, it is a matter of choice. Personally, I would be about as likely to buy a collectible, black paint finish Leica camera or lens off of Ebay, as I would a heart surgery. Some things just have to be right. 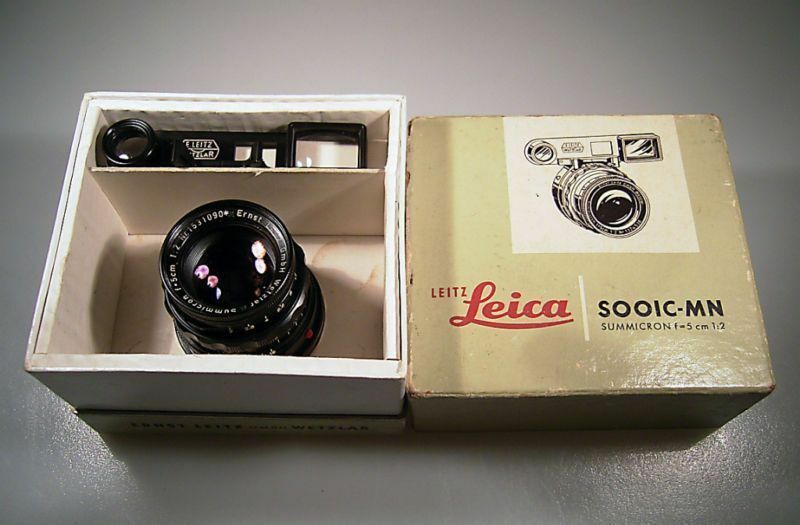 In a sense, when I think about it, Ebay is sort of a second cousin to digital photography. I wonder, if digital photos included the expense and time associated with film negatives, would the digital revolution have been anywhere near as overwhelming as it was? Wayne, the answer has to be no! Initially, that is. However, once you get into PSing images, then the convenience has to win. But the expense of setting up a reasonable digital processing system is not any cheaper than darkrooms ever were. I guess one of the differences is that, with digital, there is seldom a need to make a print: you have a monitor. With analogue, unless you just do trannies, then there is nothing worth seeing if you don’t go the full hog and make prints.